We are a veteran owned Independent Insurance Agency. We represent many outstanding insurance companies which provide you with excellent insurance products at reasonable rates. We move quickly to assure fair and prompt settlement of your claims. We are your friends and neighbors - you can count on us to be here for you today and in the future. We are committed to being honest and fair and we work toward establishing solid relationships of mutual trust and service. 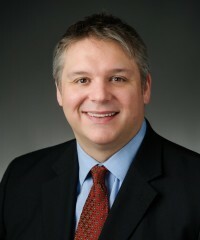 Paul is from Lexington and a graduate from Tates Creek High School and the University of KY Gatton School of Business. 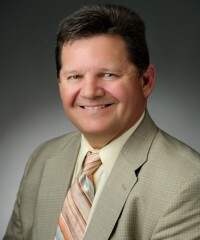 He has more than 36 years of insurance agency experience and holds the Certified Insurance Counselor (CIC) designation. Paul is a retired Lt. Colonel in the US Army Reserve, a member of the First United Methodist Church, and Past President of the Lexington Lions Club and the Independent Insurance Agents of Lexington. He and his wife have two children. Paul enjoys flying, golf and motorcycling. Carson is a Lexington native and a graduate of Lafayette High School and Miami University, Oxford, Ohio. 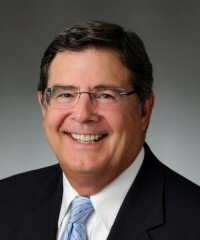 He has more than 40 years of company and agency insurance experience. He is an alum of Leadership Lexington and Big Brothers/Big Sisters of the Bluegrass and has served as a board member for Second Presbyterian Church, the Rotary Club of Lexington, the YMCA of Central Kentucky and the International Book Project. He is married to Janet Crawford Evans and has three children, Joe, Anne and Jack. 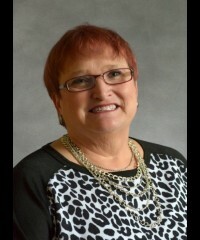 Peggy is originally from Benton, KY, and has over 40 years of experience in the insurance industry. She is a licensed Property and Casualty Agent and holds designation as an Accredited Advisor of Insurance, Certified Professional Insurance Woman and a Diversified Advanced Education Designee. She is an active member of the General Federation of Woman's Club and has served as Kentucky's State President from 2012-2014. 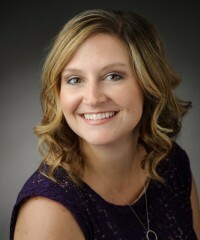 She is a member of IIAK and a former member of The Bluegrass Insurance Women. Peggy is married to Joe Barnes and they have one son. Jeremy is from Paintsville Ky and a graduate of the University of Kentucky. 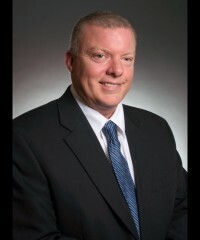 He has over 10 years experience writing personal and commercial insurance as an insurance agent. He enjoys coaching girls soccer and basketball for I Am 3rd. Jeremy, his wife have two daughters and are members of Immanuel Baptist Church where He and his wife also teach a 2 year old Sunday school class. Jeremy, in his free time, enjoys spending time with his wife and daughters as well as Bible study, working out and all things Kentucky. Rob is a Lexington native and a graduate of Lafayette High School and the University of Kentucky. He has more than 12 years of Insurance experience. Rob is active on the local Board of NAIFA (National Association of Insurance and Financial Advisors) where he has served as Past President. He is proud of his service as Deacon at Southern Heights Baptist Church. He played baseball for the University of Kentucky and for the Kansas City Royals Minor League program. He enjoys coaching and helping young baseball and softball player reach their potential. John is a 1999 graduate of Asbury University and has two decade of experience in the insurance industry. He has earned the CPIA (Certified Professional Insurance Agent) Designation and is focused on helping both personal and commercial clients. John is active with both Commerce Lexington and the Jessamine County Chamber of Commerce where he served as an Ambassador for 4 years. He has also been involved with Rotary of Nicholasville, Toastmasters and is a member of Cornerstone Baptist Church in Nicholasville. John lives in Nicholasville with his wife have two sons. Suzi is a Lexington native and a graduate of Henry Clay High School. She has over 30 years of company and agency experience. Suzi and her husband live in Nicholasville and have two sons. She spends most of her time outside the office with her grandchildren. Pat is a Lexington native and a graduate of Bryan Station High School. She has more than 30 years of insurance experience on both the company and agency sides. She has been active in the Boy Scouts for several years and is an active member of Christ Centered Church, where she sings in the choir. Pat and her husband have two sons and three grandchildren. Pat likes to fish, travel, camp, sew and read. Lexington native, Melissa is a graduate of PL Dunbar High School. She has nearly two decades of insurance experience and she has a passion for helping people. She and her husband have three children. Darlene is originally from Jacksonville Florida and has lived in Lexington since 1988. She has nearly two decades of experience in the insurance industry and has attained both the Certified Insurance Counselor (CIC) and a Certified Insurance Service Representative (CISR) professional designations. She lives in Nicholasville, is a member of Edgewood Baptist Church and enjoys quilting, gardening and reading in her spare time. She has one child and two grandchildren. 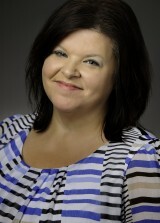 Linda is from Pikeville, KY, she began her insurance career in 1994. In 2002, Linda moved to Lexington where she received her Kentucky Property and Casualty License, Kentucky Accredited Customer Service Representative (KACSR) designation and Certified Professional Insurance Women’s (CPIW) certificate. She was a member of the Bluegrass Insurance Women and specializes in customer service. Linda is married and has two children. She is active in her church, community and many of her children’s activities. Theresa is originally from Louisville, KY. She has over 25 years of experience in both company and agency operations and has earned both the Chartered Property Casualty Underwriter (CPCU) and Associate in Underwriting professional designations. She is past president of the Bluegrass CPCU chapter, and is active in Aikkido with her husband and children. 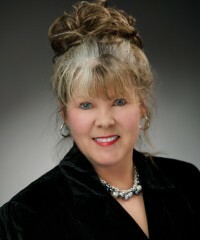 Teresa is a Lexington native and has over 30 years of company and agency experience. She is a Property and Casualty Licensed Agent and has earned the designation as a Certified Professional Insurance Agent (CPIA). Teresa is married and resides in Jessamine County. Joe is a native of Lexington and is a graduate of P. L. Dunbar High School and DePauw University where he lettered in both Cross Country and Track. In addition to his work at Cambridge insurance he serves as an assistant coach of the Dunbar Cross Country Team. He is also a member of Second Presbyterian Church and a University of Kentucky Fellow. Dorothy is originally from Chicago, Illinois. In her early days she was the singer with a touring band and she still enjoys travel. She has been with our office for almost 25 years. Dorothy has two children.